It’s Cabernet Season here in the Napa Valley. That means not only full-bodied red wines, but chilly temperatures, shorter days, roaring fireplaces, maybe a little chocolate. In other words: the height of romance. 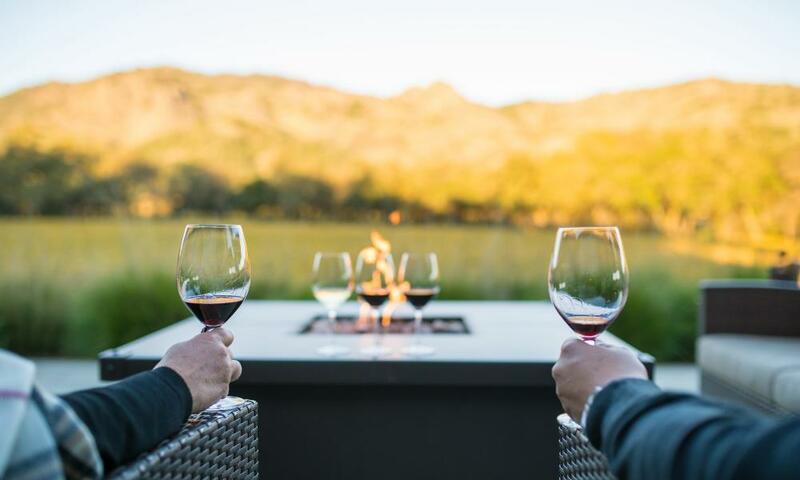 Here’s our idea of a perfectly romantic day in the Napa Valley. 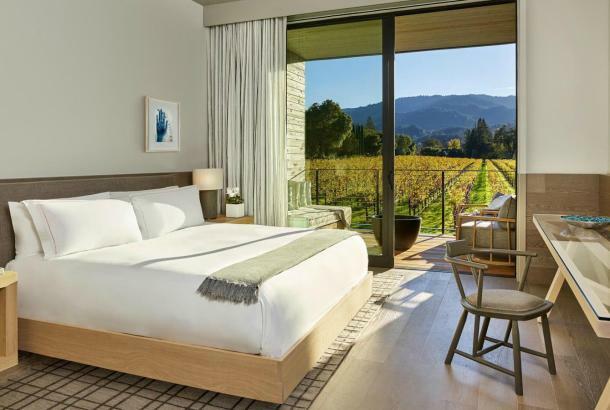 If you’re strolling more slowly with hands entwined, you could spread it out over a whole weekend (see Napa Valley’s Most Romantic B&Bs). Take a pre-dawn hot-air balloon ride. Yes, you have to get up early, but who said love was easy? Watching the sun rise as you drift quietly over a patchwork quilt of vines on the golden hills will make it worth your while. Check out Balloons Above the Valley, Napa Valley Aloft, Napa Valley Balloons, or Calistoga Balloons. Satisfy your morning sweet-tooth. You’ve earned a mid-morning bite, right? Stop by Bouchon Bakery in Yountville to ogle the French pastries in the glass cases, then take your goodies and coffee to enjoy on a bench outside. Blend your own custom wine. 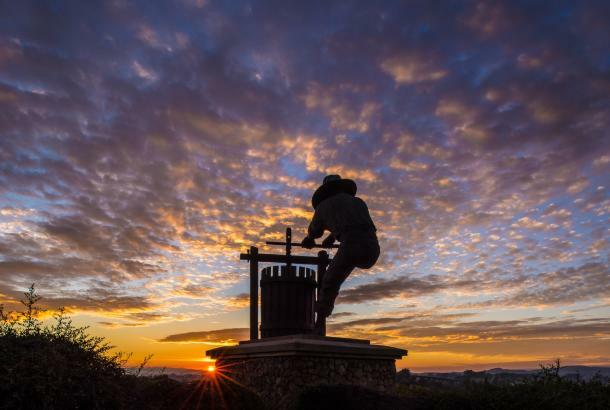 Raymond Winery’s Blending Room allows you to be “Winemakers for a Day” – you can learn a few tricks of the trade while blending your own red wine of Napa appellations. Then you’ll take home a bottle of your own blend featuring your own custom label and can even order cases of your personally crafted wine to share throughout the year. Sample some bubbly. 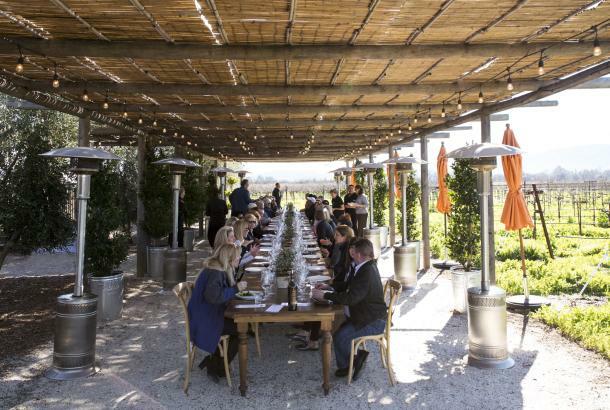 Learn how Domaine Chandon’s sparkling wines are crafted and aged, following the wines’ path from vineyard to bottle to cellar via an in-depth tasting experience at Chandon’s spectacular Yountville winery. Or do a tasting in the 125-year-old caves at Schramsberg in Calistoga. Pack a picnic for two. If the weather permits, stop by one of the valley’s excellent deli options (we recommend Oakville Grocery, Dean & Deluca, or V. Sattui Winery) to pick up provisions. Then explore one of the many local hiking trails (try Bothe-Napa State Park) and perch in a spot with a view. A jug of wine, a loaf of bread, and thou…. Snuggle at a matinee. Check out what’s playing at the Cameo Cinema in St. Helena. The oldest continuously operating single-screen movie theater in the country, the charming little film house has love seats in the back and serves local wines, craft beers, and hand-made chocolates at its concession stand. Or get dirty together. 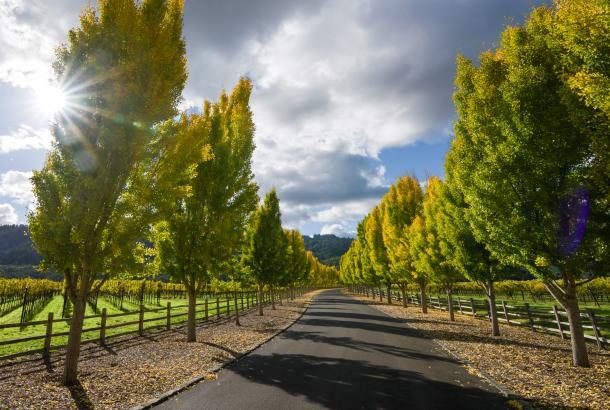 Head to Calistoga, where couples’ mud baths and massages are offered at many of its spas. 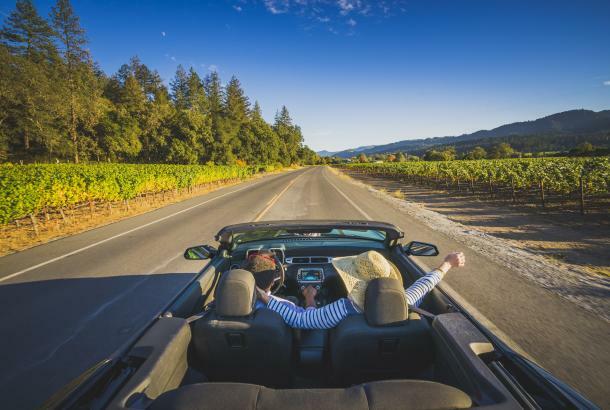 Try Indian Springs Resort, Calistoga Spa Hot Springs, the Mount View Hotel, or many others. Slurp some bivalves. 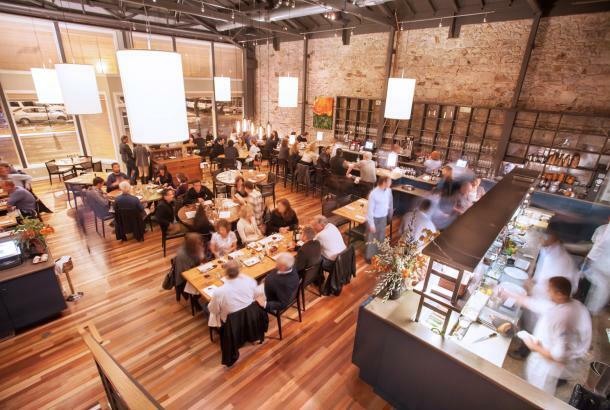 Head back to Yountville and Bouchon Bistro (right next to Bouchon Bakery) and order a dozen oysters or the grand seafood platter with a bottle of crisp Sauvignon Blanc. Toast the two of you, with a little nod to Cupid. After a day like this one, he’s got to be pleased. Kirsten Mickelwait is a St. Helena-based writer who has lived and raised her family in the Napa Valley for 20 years.